You want to start your very first website, but you do not know where to start. 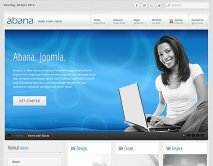 This is the right place for you where you can download Joomla 2.5 themes for free! You want to start your professional blog? Great! We have so many templates that have a blog section inside. You can freely choose any theme colors of the template to make it feel more like your own. 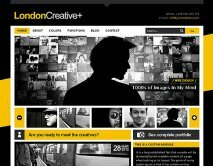 If you want to start your own gallery or show off your portfolio on the web, that would be not a problem at all – just find the perfect theme for you, set up your preferences and you are good to go. 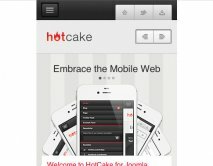 We offer you our Joomla 2.5 themes for free download: Rise of Technology Joomla Theme, Clarke Joomla Theme, HostCloud Premium Joomla Theme, Estrange Joomla Theme, HotCake Joomla Theme, Hosting Square Joomla Theme, WS-None Joomla Theme, Abana Joomla Theme, London Creative+ Joomla Theme. By downloading them, you will enjoy the quality design and great personalization tools that will help you make the site of your dreams as you have always imagined it to be.